5 easy steps to get you up and running in minutes! Video Instructions on how to edit / use your cart builder. Once you’re logged into your Dealer Dashboard you can view and edit your cart builder. Copy and paste your iframe code into the web page you’d like the builder to show on. Log In — by entering your email and password. Reset your password — click on “Forgot your password?” and then enter your email in the popup. Go to Step 4 — if you don’t need to reset your password. *Must be subscribed to the BYGC Software to login. Once you click on the “Forgot your password? 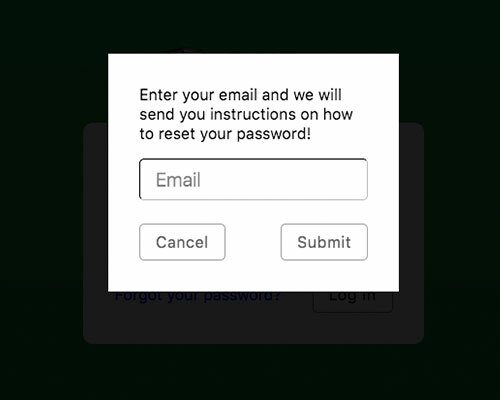 ” you will see a web popup asking for your email to reset your password. After you type in your email in to the box click “Submit”. Check your email. 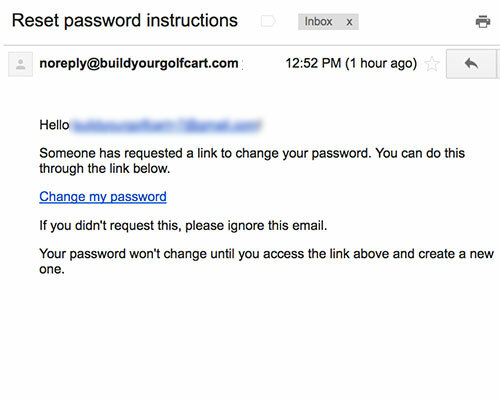 You will receive a email from us (noreply@buildyourgolfcart.com) with a link to reset your password. Click on the link and proceed. You will see a web page asking for a new password and to confirm new password. 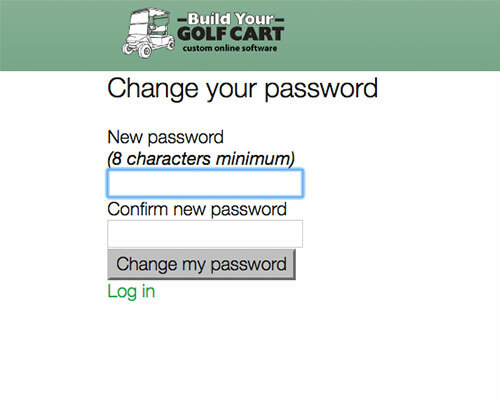 After you type in your password in to both boxes click the “change my password”. Now you’re setup! Now it’s time to login into your dealer dashboard! 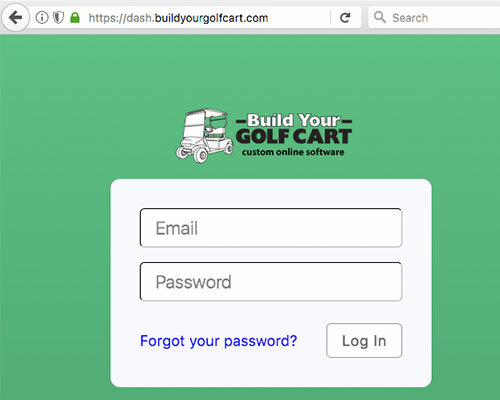 To login go to https://dash.buildyourgolfcart.com/. Use your email and new password you just setup. 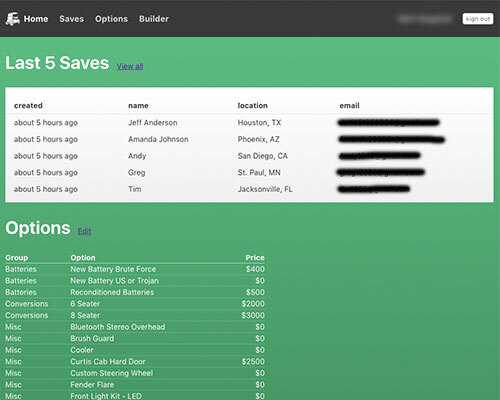 Now that you’re logged into your Dashboard you can change the Options on your cart builder, prices, view saves and preview your builder live all within the Dashboard App.